Thoughts on this retcon sequel set 40 years after the first movie? Jamie Lee Curtis will reprise her role and John Carpenter is on as an adviser. I wasn't too keen on most the Halloween movies post Halloween II way back when (especially those Rob Zombie debacles), so I'm a bit leery of this one. It can't be any worse than those other films, can it? I guess we can only wait and see. The Halloween series jumped the shark ages ago, but this one has a seal of approval from John Carpenter himself, so we shall see, I guess. Why on earth do we need yet ANOTHER version of this movie???? Meanwhile a movie screaming for a remake like "A Boy And His Dog" gets passed over. Better yet, how about creating a brand new movie from a different Harlan Ellison story. Somebody please make a movie out of "I Have No Mouth And I Must Scream". I hope it pays off well for Jamie Lee so she doesn't have to do those terrible yogurt commercials anymore. I don't need to know the problems she has with her sh*tter. In case you are wondering this takes place after the first movie and ignores all the other sequels. I wonder if it will be as interesting as the Atari 2600 game? It also seems to ignore the end of the first movie, when they say he was shot by his doctor, and then put into custody. Unless they write it like he was picked up later on after he ran away and disappeared, then they really messed it up. It might be good, but I don't see why they would make it as if none of the sequels exist. It's possible they're talking about the events after the second one, skipping over everything that happened in that film (for simplicity's sake) up to Loomis blowing Michael up. Although that looked like it finally killed him, but who knows? From what I heard John Carpenter say, this takes place after the first film. Well, then maybe Wrecked Neck is right and they screwed it up. Unless they will add something in the prelude to this one, explaining his capture. Yea, this film "erases" everything after the original film from continuity. ...which they've already tried to do once before with "H20" in 1998. Actually this new trailer kinda resembles a darker version of that movie. The first Halloween is one of my all time fave movies so I don't have high hopes b/c the 3 decaes whatever years later reboot, re imagining, reheating of the original never lives up to the hype/ hope. But, hey, if JC is involved, I will check it out. I am just not interested in Hollywood anymore with the concept of "ignore this and that and just pretend we start here" for a movie that came out 3 years before or a franchise that has half a dozen installments. New trailer! About :50 in it looks like a tribute to Halloween 2. Good news, at least for me, is that Nick Castle is returning to play The Shape! 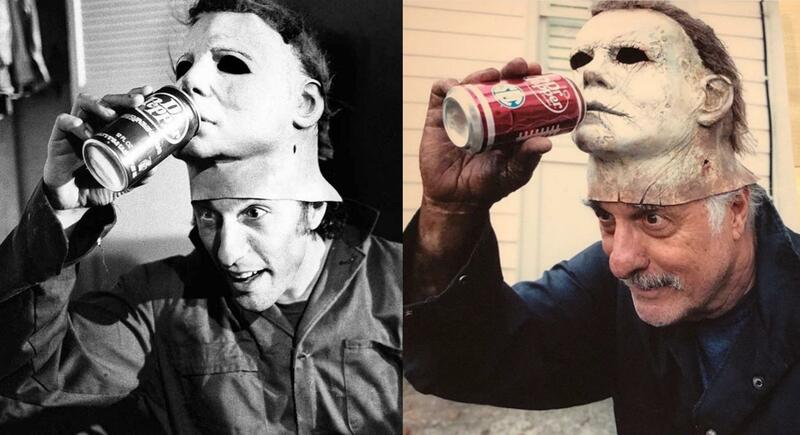 He recreated the famous Dr. Pepper photo on set. No, Nick is only in one scene in the movie. I believe it's a scene where he and Jamie will see each other for the first time. Otherwise, he's being played by James Jude Courtney. Well that's a bit disappointing. But glad he did get to appear. Maybe I overlooked it but I saw his name on IMDB.... Just went and looked again and saw Nick's name near the top and James further down the list. Initially when I saw Nick's name I stopped reading. Danielle Harris also contacted the writers about making an appearance in the film but was told "thanks but no thanks". Somebody please make a movie out of "I Have No Mouth And I Must Scream". I went to see it last weekend (thanks to a free ticket from the Scene points I acquired) and I thought it was really good. Yeah I saw it last weekend as well. It's really good! I think they did a great job with the story line. My girlfriend and I saw it this weekend - the original is one of my all-time favorites and I really dug this one. I still have yet to see this. I liked the 1st 2 and I also liked the 1st Zombie made Halloween movie. I guess its a bit different for me since I can really relate to the child version of Michael Meyers and how he became what he did. Never saw the 2nd one though yet either and really want to. At any rate, I hope this new one hits the stores soon on Blu Ray! Saw it in theaters. 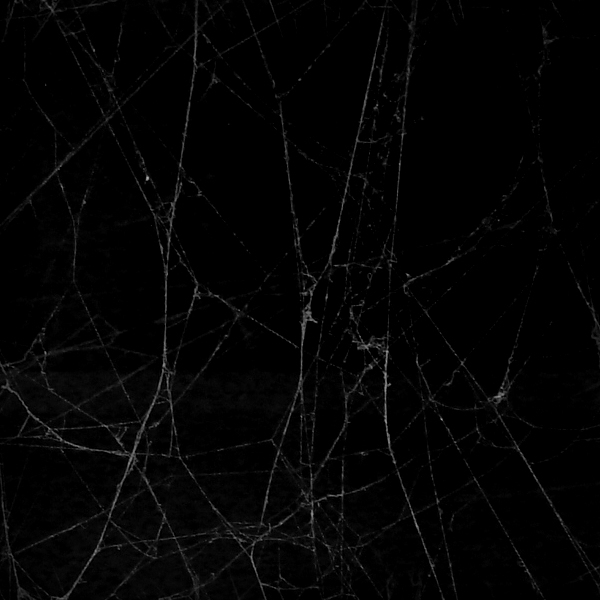 Outside of a few slick shots and some killer acting from Curtis, didn't like it. There is literally nothing new in the story here. It's basically a rehash of every Halloween movie we've had (even with a nod to III which made me chuckle). And Laurie Strode's story is pretty much identical to Sarah Conner's in almost every way. Not a single risk taken in this film except for one cloudy moment that backfires. All too familiar and rather boring. It was "meh." Well made, some nice nods for longtime fans of the franchise, but in the end it's just another unnecessary addition to the series. It was better than the Rob Zombie attempts, at least. At this point, being a "Halloween" fan requires a willingness to be constantly disappointed.